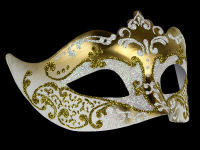 Again a beautiful, girly designed mask - This Stella Masquerade Mask in Pink Gold is a must-have mask for all ladies who party. 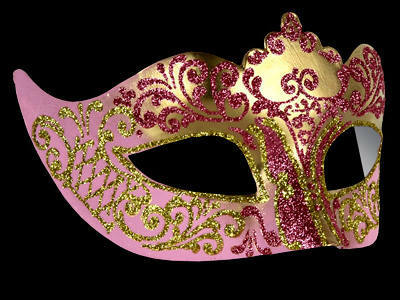 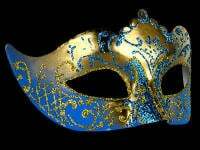 Guaranteed to make you feel like a princess this stunning party mask is designed in glistening gold & pink Venetian masquerade mask is hand painted in pink & gold swirls. 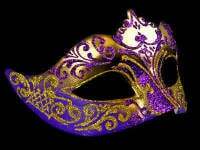 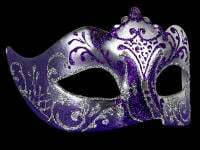 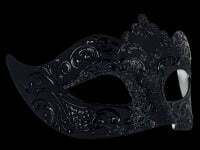 A lovely finishing touch to all of your party or ball outfits this gorgeous mask will be your favourite for dressing up time & time again. 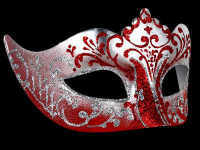 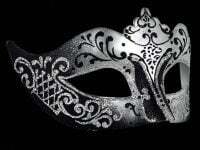 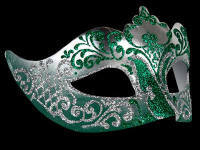 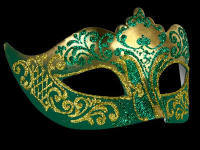 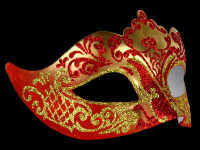 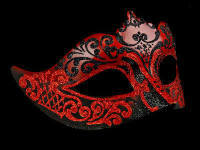 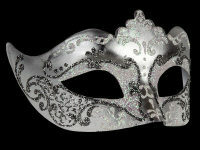 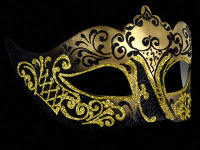 Of course it is hand made and painted in Venice & imported by Simply Masquerade for your pleasure.